After an enjoyable summer break, it is time for many of us to hit the ground running again. And what can be better than to do it in a great pair of glam-and-green trainers! This week, the Green Stilettos Girl is kicking off her beloved high heels in favour of awesome sports shoes that help disadvantaged children around the world, as well as do their bit to save our oceans and rainforests. adidas unveiled its shoe made from recycled plastic waste from the ocean. Photo via adidas. 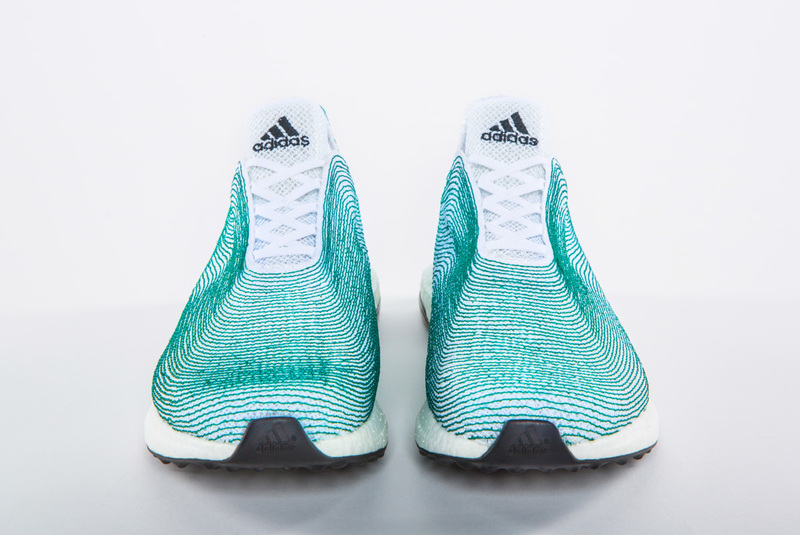 Earlier this year, at an event hosted by the United Nations and Parley for the Oceans, adidas unveiled the world’s first shoe upper made solely from recycled ocean waste and illegal deep-sea gillnets. Though the bright blue and white shoe is only a prototype for the time being, more consumer-ready products made from ocean plastic waste are expected to be revealed later this year. Veja shoes are produced in Brazil and France in accordance with high environmental and social standards. Photo via Ecouterre. 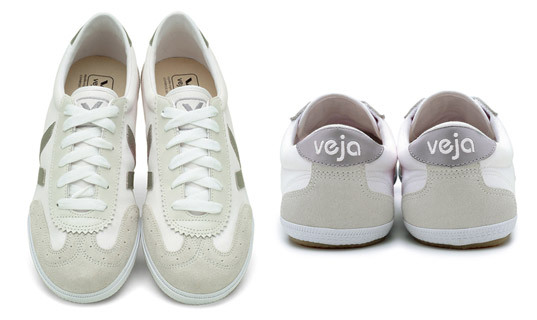 Another great sports shoe with a noble mission is the French-Brazilian ecological and FairTrade footwear brand Veja. Established in 2004, Veja trainers and accessories are made of organic cotton, wild rubber from the Amazon (the only place on earth where rubber trees grow in the wild) and chrome-free vegetable-tanned leather. I recently got myself a pair of bandana print Veja trainers that are my new weekend staple. TOMS has pioneered the One for One business model. Photo via TOMS. The third brand absolutely worth knowing is TOMS. I must admit that it took me some time to warm up to their rather hippyish look, but it’s hard to deny that TOMS was a global trailblazer with its One for One business model: for each pair of shoes you purchase, the company will give a pair of shoes for a child in need. 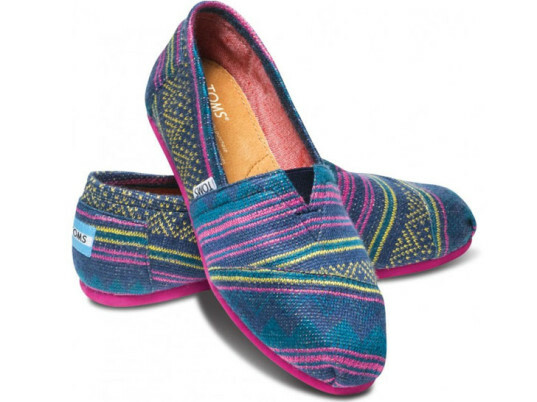 Since 2006, over 45 million pairs of shoes have been given thanks to TOMS’ soaring popularity. The company has recently extended its range to include eyewear and handbags. Whether you are walking, trekking or running, these amazing footwear brands will certainly get you a step closer to being a ‘goody two-shoes’!